Veterans Matter operates nationwide. From Washington state to Washington, D.C. If you would like details on creating an area of operation in your region, contact us. 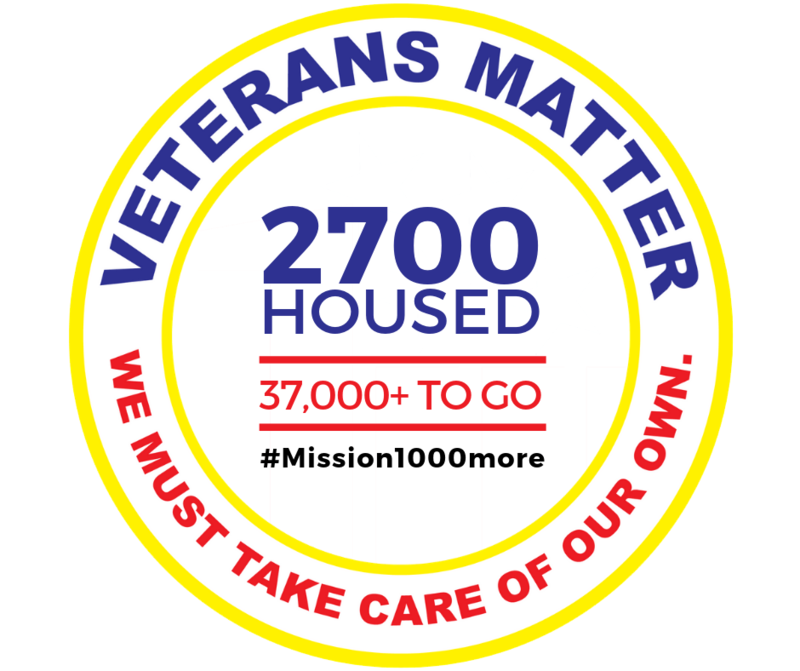 You can find information on where the HUD-VASH vouchers are available, how many there are, and how much funding is needed to help homeless veterans throughout the nation in this document. If you want to help house a veteran TODAY, donations to Operation Greatest Need are allocated to the areas deemed most critical by Veterans Matter and the VA.
Operation Colorado launched in 2015 when the First Nation Group, a full-line national distributor of medical equipment and supplies to federal government agencies, donated a major gift in March 2015. While headquartered in Ann Arbor, one of the company’s main distribution facilities is located in Denver, CO, and the company wished to make a difference by housing veterans there. We housed our first veteran in Colorado the week before Independence Day 2015 – what a way to honor a veteran’s service and the nation! and compassionate Americans like you. Whether 1 time or monthly, You can Donate Right Here, Right Now! Our Colorado Veterans are counting on us. Operation Florida launched in January of 2018 after First Nation Group learned of the significant need veterans had in this state.Due to an innovative concept in corporate philanthropy created by company president Steve Baugh, First Nation’s supplier, Fisher Paykel, provided the funds to begin housing veterans in Florida. When company CEO Cheryl Nillson learned of the ancillary needs veterans had once housed in her hometown area of Fort Walton Beach, she worked with Veterans Matter to develop a pilot program called the First Nation Guardian Angel Fund to meet those needs. The Guardian Angel Fund is being tested in three of our areas of operation. and compassionate Americans like you! Whether 1 time or monthly, You can Donate Right Here, Right Now! Florida Veterans there counting on us. If you want to contribute to house a veteran TODAY, and you aren’t picky about what part of the country your contribution is going toward, this is the place for you! Donations to Operation Greatest Need will be allocated to the areas deemed most critical by Veterans Matter and the VA. NOTE: We are now raising the funds to house veterans receiving 2018 housing vouchers. I truly want to thank you and your music industry backers. For this social worker working with our heroes, your organization has filled a gap of financial services that had been missing in helping our veterans. So thank you and your backers for making my job a little easier to place our heroes in appropriate housing as soon as possible. We believe there is no acceptable reason why any veteran should be sleeping on the streets tonight if there is something we can do about it. Join us, your gift helps them get housed. Tonight. 100% of the funds raised go to help house veterans locally, regionally or nationally, wherever the greatest need is. In other words, anywhere there is a veteran waiting for a home tonight, we will be there! Veterans Matter is a program of 1Matters.org, a 501c3 non-profit, making your gift tax deductible. How will your gift impact the lives of a veteran? Operation Ohio is where it all started. Operation Hometown is based out of Toledo, Ohio, serving veterans in Northwest Ohio and Southeast Michigan, and continues to serve as our test lab to identify needs and then design and pilot programs to fill those needs. When the VA’s Shawn Dowling told Veterans Matter founder, Ken Leslie, that a deposit was all that was preventing two local chronically homeless veteran friends of his from being housed, with 33 more vouchers in the pipeline, he soon realized there was a simple solution. Simply, Ken needed to find money and pay the deposit to the landlord, pushing them over the threshold into ready, permanent housing. What was insurmountable to them, is easily solved by others who care as much as we do. The next morning, Ken called Barb Petee, an executive at ProMedica Health System, to get the $26,250 pilot funding from the Toledo Community Foundation’s ProMedica Advocacy Fund. With veterans waiting, he also asked her to waive the normal three-month foundation due diligence process. Seven days later, on Valentine’s Day at 5:36 pm, Barb called with full funding. Our first veteran family was housed out of the family shelter three days later. Eleven days from idea to implementation. The rest of Ohio was funded by the Exchange Clubs of Northwest Ohio and along the I-75 corridor. Start-up funds for Cleveland and Columbus were provided by the UT Songfest, Class of 2018.
and compassionate Americans just like you! Our Ohio Veterans are counting on us. In January 2019 the FCA Foundation granted $30,000 to start up Operation Illinois in the Rockford area. Funds to expand the operation are currently being sought. Whether 1 time or monthly, You can Donate Right Here, Right Now! Our Illinois Veterans are counting on us. Anchored by John Mellencamp’s support of Veterans Matter, we received an anonymous $37,500 donations the same day John signed on as Chair of Operation Indiana. The first veteran to benefit, along with his wife and their three children, went from living in their car to the warmth of a home on February 7, 2014. John has continued his support of Veterans Matter, even returning to Toledo in 2017 to help kick off the Veterans Matter Walk to House More Heroes. Inspired by Mr. Mellencamp, Jeff Young, District Director of the Indiana Exchange Clubs, rallied the state’s clubs to unite for 11/11 @ 7 rallies across the state to help provide continuation funding. Whether 1 time or monthly, You can Donate Right Here, Right Now! Indiana Veterans are counting on us. Thanks to Mitch Albom, Katy Perry, Kid Rock and Ann Arbor-based company First Nation Group, and many of the state’s Exchange Clubs, homeless Michigan veterans and veteran families have been housed. In the spring of 2014, best-selling author, journalist and broadcaster Mitch Albom gave Veterans Matter $15,000 to jump-start a Michigan chapter. “Our veterans, those men and women who have sacrificed so much to ensure our freedom, deserve better than a home on the streets. I’m happy to lend my name to an organization that is fighting to change this, and I’m honored to support them in whatever way possible,” Albom said. How it got funded is an amazing story. Ken received a call on a Monday from the Detroit VA saying they urgently needed our help. By Wednesday, after a coincidental call out of the blue on a totally unrelated topic from Dr. Chad Audi, Mitch’s partner in compassion, funding was secured to house 16 homeless Detroit veterans. Kid Rock, Katy Perry, and First Nation Group helped provide continuation funding. As the honorary chairman of the Michigan chapter of Veterans Matter, Albom will be expanding the reach of the innovative organization that is focused on providing housing to as many Michigan veterans as possible, as quickly as possible. Whether 1 time or monthly, You can Donate Right Here, Right Now! Michigan Veterans are counting on us. The Mid-Atlantic chapter was the brainstorm of Scott Vaughn and VM founder Ken Leslie. Scott met Ken back-stage in connection with the Katy Perry/Veterans Matter charity auction, which housed 22 veterans in Texas and Ohio and created Operation Mid-Atlantic. Scott and Ken finalized the creation of the chapter when Ken was in DC speaking as Keynote speaker for a national organization. Through the conference, several attendees including Chris King, Cameron Kauffman, Shekinah ‘Ki’ Magee, Jane Perez, and Kevin Day all teamed up to form the core of the Mid-Atlantic Operation focused on DC, Virginia, and Maryland. Whether 1 time or monthly, You can Donate Right Here, Right Now! Veterans there are counting on us. Operation Mississippi was launched when First Nation Group, a national distributor of medical equipment and supplies, responded to an urgent need and donated a major gift in August 2015 to house 25 local Mississippi veterans. Pitch in now to support the housing of our heroes in Jackson, Gulfport and throughout Mississippi. We must take care of our own! Whether 1 time or monthly, You can Donate Right Here, Right Now! Mississippi Veterans are counting on us. Operation New England was started when John McGah with Give US Your Poor learned of VM through Dr. Josh Baumberger with the US Interagency Council on Homelessness. John connected VM to the New England fundraiser staged by the Adam Ezra Group. It raised $15,000. New England takes care of its own. Our New England Veterans are counting on us. Veterans Matter and Exchange Clubs nationwide have come together to house homeless veterans. This partnership has produced Operation North Carolina. Thanks to donations via the Exchanges Clubs of Swift Creek and Asheville, NC, homeless veterans in the state are now on our radar and we will get as many housed as we can! You can help, too! Whether 1 time or monthly, You can Donate Right Here, Right Now! North Carolina Veterans are counting on us. NOTE: We are now raising the funds to house veterans receiving 2018 housing vouchers. Click here to donate to Operation Ohio. Thanks to generous funding by First Nation/Jordan Reses and 2017 funding through Million Dollar Round Table, Operation Ohio continues to house our veterans as fast as possible. As of November 2017, 375 veterans have been housed in Ohio. If you too would like to give homeless veterans in Ohio a home, join Operation Ohio today! Thanks to a generous anonymous donor, Operation Oregon began at the tail end of 2016. Veterans Matter quickly put the $25,500 donation to work, and in the first week of operations helped house 3 veterans. If you too would like help give homeless veterans in Oregon a home, you can join Operation Oregon right now. Whether 1 time or monthly, You can Donate Right Here, Right Now! Our Oregon Veterans are counting on us. Whether 1 time or monthly, You can Donate Right Here, Right Now! South Carolina Veterans are counting on us. Kix Brooks helps house homeless veterans in Tennessee! Saddened by the fact that over 37,000 veteran men, women, and their families are living on the streets of our nation, Kix Brooks has teamed up with Veterans Matter to help do something about it, forming Operation Tennessee. In cooperation with the VA and HUD, Veterans Matter funds deposits and moves vets into housing as fast as possible. Friends and fellow artists: please join this mission. We must take care of our own! To reach out to us with comments and ideas, click here. Whether 1 time or monthly, You can Donate Right Here, Right Now! Tennessee Veterans are counting on us. 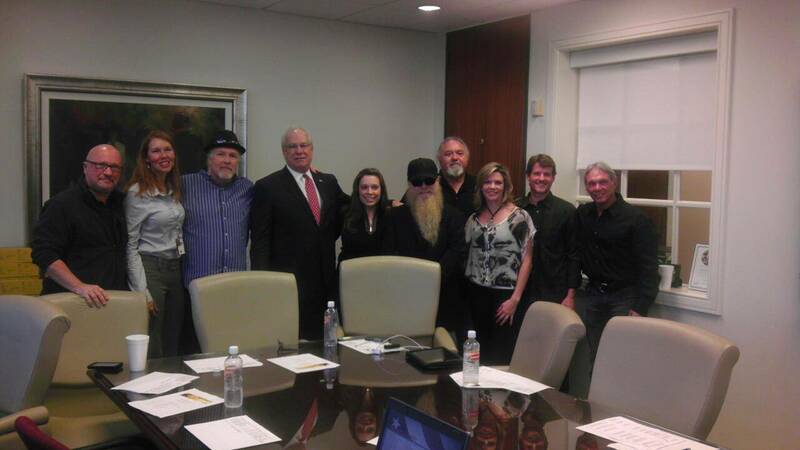 Operation Houston began when Dusty Hill of ZZ Top and his wife “Chuck”, asked founder Ken Leslie to expand the program to help Houston’s veterans. A group was convened and nearly 1000 Texas veterans have now been housed. Whether 1 time or monthly, You can Donate Right Here, Right Now! Texas Veterans there are counting on us. Operation Washington was started by a Veterans Matter volunteer Jean Mollman, founder of Hero Giardiniera to help make a difference in Washington state. With roots in the music industry, she enlisted country music icon Kix Brooks to help raise awareness for our cause and connected us with Cumulus Media and grants from Charity USA, now invaluable supporters. Hearts of gratitude go out to our Washington Operations founding team members Phillip Runyan, Jean Mollmann, Evelyn Jensen and Sandy Dodge. Whether 1 time or monthly, You can Donate Right Here, Right Now! Washington Veterans are counting on us.